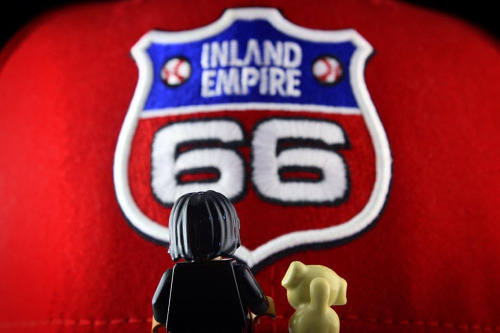 #SBStrong: Blogging About #InlandEmpire Places/Events in 2016? My 2015 blogging experiment -- writing five to seven entries per month -- has been a success, mostly. I want to shift the direction of this blog a little bit in 2016, perhaps on more local matters -- relative to myself. Earlier this month, there was a mass shooting at the San Bernardino County's health department holiday party in the City of San Bernardino. It was a doubly tragic mix of terrorism and workplace violence because one of the terrorists was a co-worker to most of the victims. It was also such an odd target for the terrorists -- an office party that's about an hour away from any of the more "obvious," higher-profile targets for terrorism or any other violent crime. The mass shooting's location was in San Bernardino, the terrorists' home was nearby in Redlands, and the final confrontation between law enforcement and the terrorists happened in between. Geographically, this incident hit close to home. The Loma Linda Family Health Fair usually takes place every year around Halloween, at the Loma Linda University's Drayson Center gym. They remove the gym equipment for the event, with information booths instead. Depending on the companies and sponsors, you might get some free, useless trinkets or useful coupons -- like any other community fair/festival. 1. Free lunch, albeit vegan lunch. 2015 had vegan black bean burritos, and 2014 had vegan burgers. I don't think there were free lunches before 2014. 2. Free flu shots. In case you don't have a doctor's appointment before flu season, or if the local drug store flu shot doesn't accept your health insurance -- you can get a flu shot at this health fair. Or any other health fair. Or cultural festival with a flu shot booth. 3. Free or cheap blood screening/tests. With the passage of the ACA (Obamacare), you'd think low-cost preventative care at health fairs is unnecessary. Then again, there are flaws in any law (i.e., the incompetence of government), and no one should underestimate the greed of health insurance companies. 4. Free entry to a raffle for various prizes. The grand prize is usually Disneyland-related. There are usually other prize raffles in various booths. Long ago, there was a raffle booth at the kidney screening booth, with an awesome little kid as the exuberant raffle host. It's too bad he grew up; the kidney screening booth has never been the same since. 5. I suppose there are additional fun things for kids, like collecting stamps from booths to get a prize at the end ... or something like that. In any case, the Family Health Fair is a very good event in the Inland Empire. 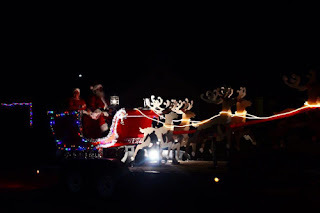 In the month of December, depending on the town in the Inland Empire, local firefighters (and sometimes police) drive through various neighborhoods on various nights, with a couple of firetrucks, one pulling some "reindeer" pulling Santa's sleigh. Mrs. Claus joins her husband, throwing candy canes to people watching the parade. The firetrucks (and sometimes police cars) have their lights and sirens joyously ringing out for the occasion! 2015's parade went through various neighborhoods in the cities of Colton and Loma Linda. The parade schedule is a bit complicated, so a resident in the area would have to look up the city's website and/or Facebook page for more information. In other words, check again around November 2016. The local Christmas parade (or Holiday parade, since these routes don't happen on the 24th or 25th) is another very good event in the Inland Empire. We'll see if I'll have more I.E. things to write about in 2016. In the meanwhile, I hope you all have an absolutely fun and relatively safe New Year's Eve ... and a very prosperous New Year 2016 for all! Happy New Year! Cheers! I should have written this down when the details were fresh in my mind, but Christmas sort of got in the way. In any case, here is some information gained from trial, error, and helpful professionals from variously Googled forums. Hopefully I have paraphrased and synthesized this information as accurately as possible. If you no longer have hot water going through your plumbing, one possible cause is that the water heater's pilot light has went out. The pilot light heats up a mostly-copper part called the thermocouple, which "tells" the main gas line into the water heater to provide more gas. When the thermocouple no longer "senses" the pilot light, it basically shuts off the main gas line -- for safety reasons, of course. The solution to this problem can be solved by going through one, two, three, or four steps. You'll need the following tools (and perhaps more items): Adjustable crescent wrench , hex keys (Allen wrenches) of varying size, Phillips screwdriver , flathead screwdriver, fine sandpaper , a pin or re-shaped paper clip , a spray bottle filled with soapy water, an Xacto knife , HVAC tape , and whatever else I have neglected to list here but mentioned below. To check if the water heater's pilot light is lit, remove the first metal "cover" (or equivalent) to reveal a glass window into the water heater. Get down on your knees, and look into the window, looking up and to the left (usually). If the pilot light is nowhere to be seen, then follow the instructions to reignite the pilot light. Typically, you would have to set a dial and another knob to pilot light mode -- read the water heater's specific instructions. For typical early-21st century water heaters, you have to hold down a button, which temporarily provides a small amount of gas into the pilot light chamber, while pressing an igniter button, which creates a spark in the chamber. The pilot light should then start (keep looking into the window, up and to the left). Hold on to the temporary gas button for about a minute. This should allow the pilot light to heat up the thermocouple enough to tell the main gas line to keep it coming. After about a minute, let go of the temporary gas button. If the pilot light is still on, then set the dials and/or knobs to the mode and temperature level from before. Congratulations, you now have hot water again! SHUT OFF THE GAS LINE INTO YOUR WATER HEATER FIRST! From the water heater, there should be a gas line that leads to a knob, pointing in a direction. Just turn that knob 90 degrees clockwise to shut off any gas flowing into your water heater. Yes, the thermocouple tells the main gas line to flow or shut, but manually shutting it yourself is a proper safety precaution. You'll need an adjustable crescent wrench to remove the thermocouple, pilot gas line, and main gas line from the control box (on YouTube, you'll probably find the videos that aided me, as well). Typically, you should easily slide off the igniter button assembly from the control box. You'll probably need a hex wrench or driver to remove the hex screws from the second metal cover (with the window). When you pull open the second metal cover -- you might need a flathead or something to help pry -- you should be able to see an assembly with the pilot light, the thermocouple, and the igniter. If the thermocouple looks really sooty, then use sandpaper to clean off all that caked-on ash. Just in case, use a thin piece of metal (like a re-shaped paper clip) to clean the inside of the pilot light part, which might have its fair share of dirt. 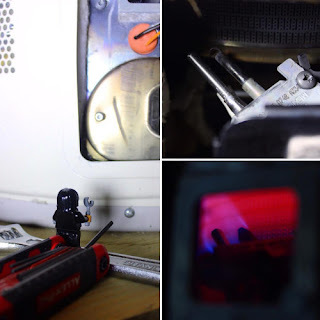 Close up the second cover (with the window), screw in the screws, and use your wrench to reconnect the main gas line, the pilot light gas line, and the thermocouple. Snap or slide the igniter back into place. Turn on the previously-shut gas line knob (90 degrees counterclockwise this time). Spray the contacts were you reconnected the main gas line and the pilot gas line with soapy water. If it bubbles, then shut off the gas line knob (90 degrees clockwise), tighten the connections with your wrench, and test with soapy water again. Hopefully it doesn't bubble this time. If either gas line continues to bubble, and remains to be a problem after tightening everything, then there's a gas leak -- CALL THE GAS COMPANY NOW! Assuming that your gas connections are once again tight, then try out the repair. The gas line knob should be in the "on" position. Like in step one so many paragraphs ago, reignite the pilot light. If the pilot light remains lit when you let go of the temporary gas button, then proceed to fully turn on your water heater -- you now have hot water! Congratulations! Cleaning the thermocouple and/or unclogging the pilot light part must have done the trick! The pilot heats up the thermocouple, which tells the gas line to keep it coming, and a big fire will soon ignite to heat up your water. Sometimes cleaning a thermocouple isn't enough. The thermocouple probably doesn't work anymore. That's probably why the pilot light disappeared in the first place. The thermocouple stopped working, so it could not sense the pilot light, and in turn, informed the main gas line to shut off, which inevitably extinguished the pilot light (no gas, no constant fire) -- in other words, no more hot water. Replacing the thermocouple is fairly straightforward and more importantly, very inexpensive. Depending on the length of copper you need, it'll cost maybe $10 to $18 at a brick and mortar hardware store -- probably cheaper online. Anyhow, I'm getting ahead of myself. Like before, shut off the main gas knob into the water heater. Disconnect the two gas lines, the thermocouple, and the igniter. Unscrew the cover with the window. Remove the cover. Unscrew (with a Phillips screwdriver, usually) the thermocouple-pilot-igniter assembly to remove the thermocouple. Use an Xacto knife to cut the thermocouple from any rubber seal housing; some HVAC tape and pieces of insulation might be necessary to plug in a broken rubber seal. Measure the size of the thermocouple, and buy a replacement thermocouple that is the same size or a bit longer. Reassemble the thermocouple-pilot-igniter assembly -- re-screw and reattach as necessary. Pretty much replace lines and wires as they were before, and use some insulation and HVAC tape to fill in any new gaps you've made in the process. Reinstall the cover with the window. Reconnect the gas lines, thermocouple, and igniter. Reopen the gas line by turning the appropriate knob 90 degrees clockwise. Check for gas leaks with soapy water. Finally, reignite the pilot light. Hopefully it will stay lit, as you set the water heater to fully operational mode. If it works, congratulations! It was the thermocouple all along! Enjoy your hot water! Remember to reinstall the first metal cover, which hides the pilot light window. I'm out of ideas at this point. You've spent about $10 on a thermocouple that didn't do the trick, so expect to pay dozens more, if not hundreds of dollars, in further repairs. Think of it this way: It's better to spend $10 before spending a couple hundred more, than it is to spend a couple hundred on a repair that could have cost only $10. If you are comfortable with do-it-yourself repair, then I would advise that you try to fix it, with simpler solutions, before calling a professional. I hope this information is helpful. If any of this text is confusing, please go to YouTube to see various professionals and D.I.Y.-ers basically do these exact repair solutions I've written. Just search for "water heater" and "thermocouple." In any case, if I don't post again until 2016, I want to wish you a Happy New Year! Cheers! *Since I am not an HVAC professional or a plumber, this blog post is for entertainment purposes only, so if something useful (or disastrous) happens, then it's not my fault, all right? This is basically yesterday's post, in hyperlink-list form, to make the transition from Instagram post to MP3 download simpler. I've included "album cover" art in this blog post, since Archive.org mysteriously removes these images in its servers. 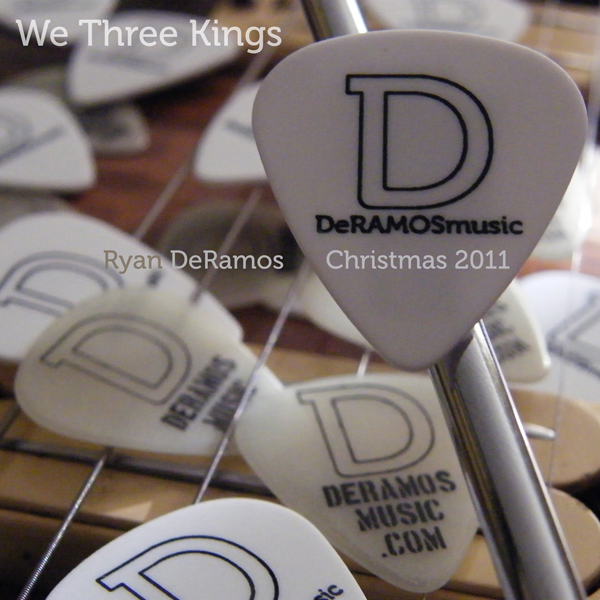 Feel free to download these MP3s and JPEGs! Merry Christmas! Every year since 2009, I've recorded a Christmas carol for LibriVox, a community of volunteer audiobook narrators. The first year, I recorded four songs, and each subsequent year, I produced just one every time. DOWNLOAD/STREAM "IN DULCI JUBILO" HERE. 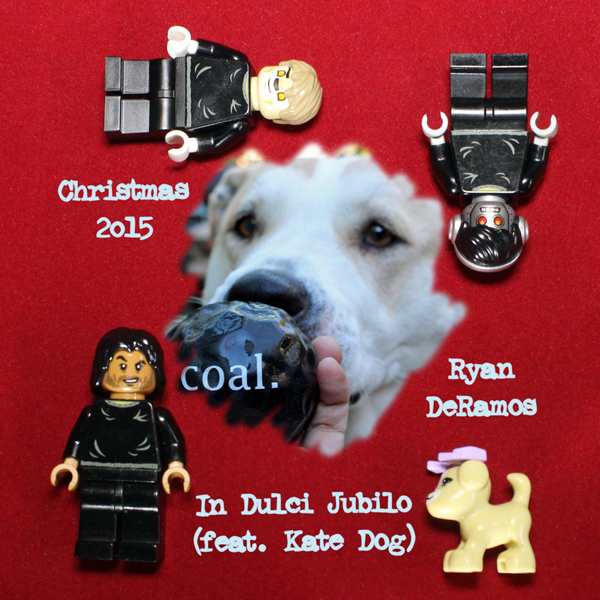 This year's track is a re-imagined "In Dulci Jubilo," with my dog Kate barking out a verse and some bits at the end. I took a solemn, 3/2 hymn and turned it into a swash-buckling 6/8 stomp -- hopefully, at least. The MP3 of the song is in the link above, so click it, or right-click and 'save as' -- whichever you choose. 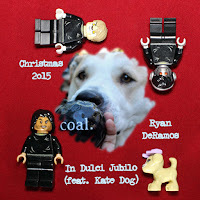 Update, 12/24: I forgot to mention that this was the first Christmas recording using A Little Thunder to record guitar and "bass" simultaneously. 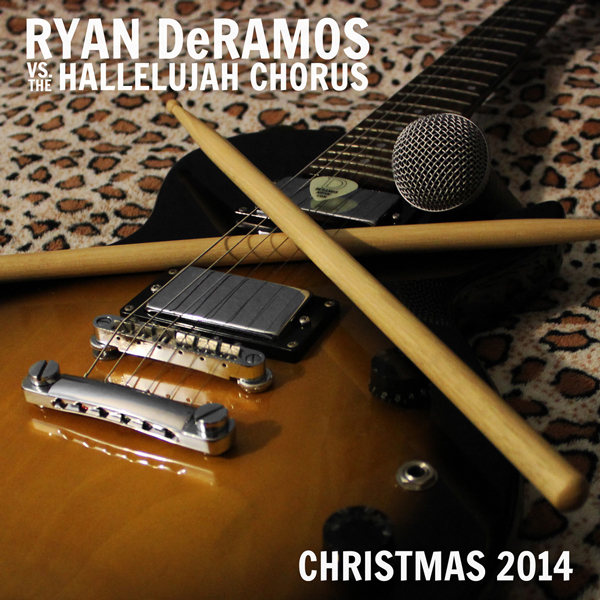 Last year's track (2014) was the "Hallelujah!" chorus, featuring a wire choir and a voice choir. I'm not feeling it this year, to be honest. I should've hurt my vocal chords to reach the soprano range via falsetto, but I didn't. I should have held lots of notes longer, as well. Update, 12/24: I kind of like this recording again, and I might use this recording for a Christmas morning Instagram video or something. The year before that (2013) was "Joy to the World." I must have been off that year because I can't bear to listen to it. In other words, I'm not feeling it, either. 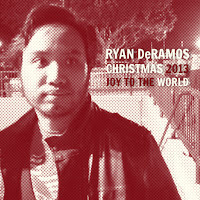 Update, 12/24: The Christmas spirit is turning me around to this pseudo-quasi-jazzy-pop (?) arrangement. I just wish I didn't sound so "pained," vocally. 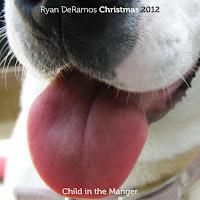 Three years ago (2012) was "Child in the Manger." I don't know what I was thinking at the time, but I'm not feeling it right now, as well. Update, 12/24: OK, I kind of like this recording again. I kind of remember that I wanted to have that "Hallelujah" -- the 20th century pop song -- vibe. Four years ago (2011) was "We Three Kings." I may be feeling it, a little, right now. Update, 12/24: I'm feeling it, more and more, as we approach Christmas Day. The feels, man, the feels. 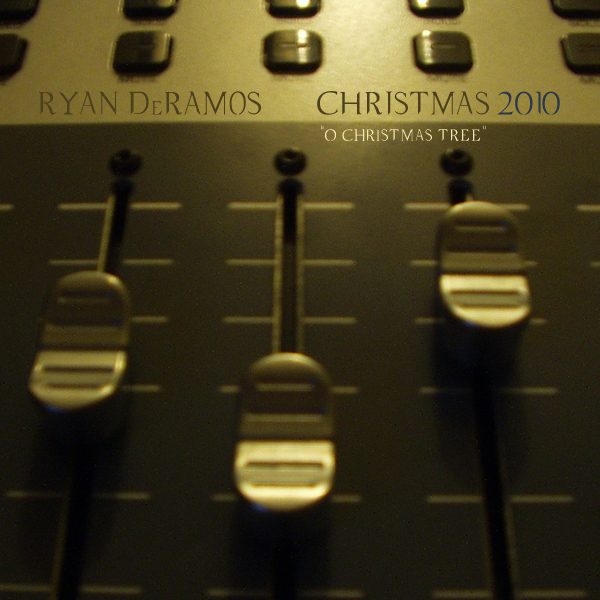 Five years ago (2010) was "O Christmas Tree." I try not to pat myself on the back often, but I have to pat myself on the back for this one. It's my favorite Brian May-influenced wire choir recording I have ever done. 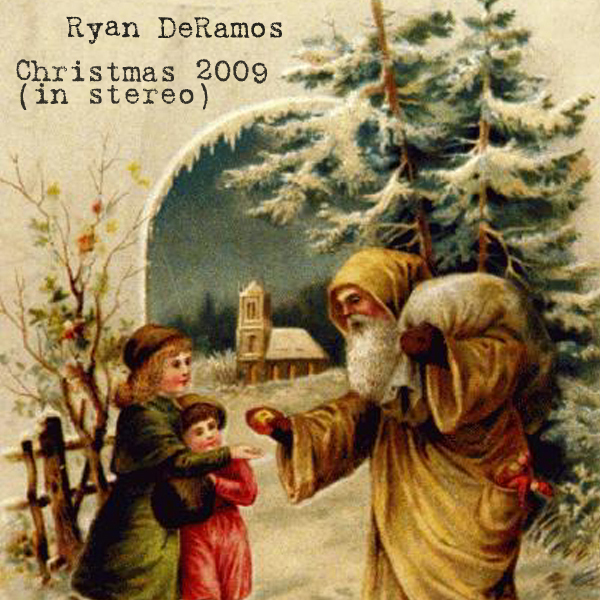 "God Rest Ye, Merry Gentlemen" had a heavily-Autotuned (Melodyned) vocal and a drum machine pattern. I don't know why I produced it like that one Kanye West album. Update, 12/24: I still find the production amusing. All sounds were made by one processed vocal track, a drum pattern sequence that followed the notes in the melody (a new note in the melody would trigger a different pattern), and some random white noise static. I was off vocally with "O Holy Night." I still dig the chord progression from an early version of the sheet music, though. Update, 12/24: I still feel that I was quite off vocally. I don't know what I was thinking, pairing a meandering, Thom Yorke-wannabe (but not really), head-voice melody, with a nearly-inaudible octave-lower chest voice melody. I should have just picked a different key than written. 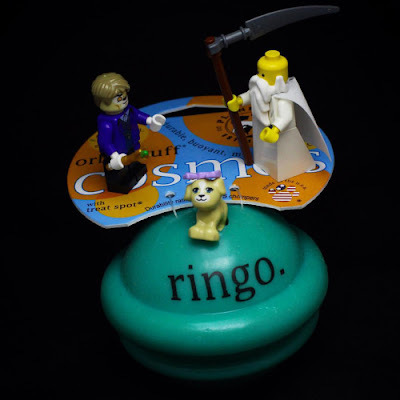 The harmony parts during the choruses were all right, I suppose. I can imagine that I was aiming for "epic" in this recording, but I kind of missed the mark. The Christmas spirit is making me like it a little bit, though. "It Came upon the Midnight Clear" is the only song I recorded for this series that was performed in one take: Vocals and ukulele. I still kind of like this recording. I really want to do another one-take Christmas carol, especially with my current "one man band" setup. I tried to make "Jingle Bells" some sort of tropical, samba-cool vibe with the original 1800s lyrics. It was good in theory, but in practice ... meh. Update, 12/24: I'm kind of feeling this one now. I might make an Instagram video around "Jingle Bells" for tonight or tomorrow. I haven't seen the latest Disney-Lucasfilm Star Wars movie yet. I'm currently trying to recover from a particularly nasty cough, and being stuck in a crowded movie theater for over two hours doesn't seem like a good call. For anyone involved. The trolls and contrarians of the InterWebs have posted potential spoilers for the film, which I've stumbled upon on a couple of occasions. They all have the tone of "Darth Vader is Princess Leia's father!" with all the smugness that can be transmitted through text. (Sorry for The Empire Strikes Back spoiler.) Fortunately, these would-be spoilers are mostly meaningless to me for one reason along: I have no idea what the plot of The Force Awakens could possibly be. I have very little context for the spoilers, other than some vague, Star Wars-y type plot point. For the original trilogy, the overall plot was fairly straightforward: There's a war ... wait for it ... in space, among the stars: Star Wars. 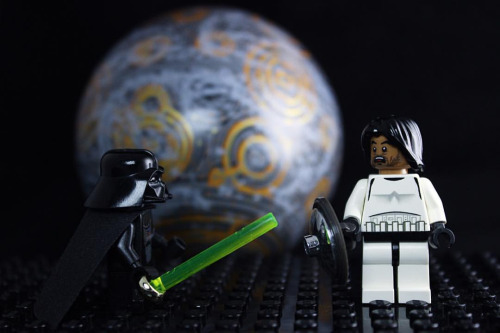 For the prequel trilogy, the overall plot is anticipated -- a kid grows up to become Darth Vader. What wasn't anticipated, however, was the overall quality (or lack thereof) in the prequels' three-movie character arc. For this new trilogy, I don't know what to expect, except for being introduced to new characters as well as some old favorites. I'll see the movie when I see the movie, I suppose. In lieu of the new Star Wars film currently in theaters, I watched Interstellar on Amazon Prime Video, from the comfort of home (and a pause button). I've resigned myself to enjoying most stories on a fairly superficial level; if it's told well, I'll probably enjoy the film, no matter the subtext, themes, propaganda, or moralizing. Interstellar was a story that was told well, through striking visuals and overall story tightness. And acting, I guess. Like many before me, the overall plot totally reminded me of the Queen song "'39 ," written and sung by now-astrophysicist Brian May. (Freddie Mercury sang the song whenever the band played it live.) The song even goes well with the end credits of the movie. And yes, SPOILER!, I saw the bootstrap paradox coming from a mile away, or should I say a light year away. I suppose I've been watching too much Doctor Who, for my own good. 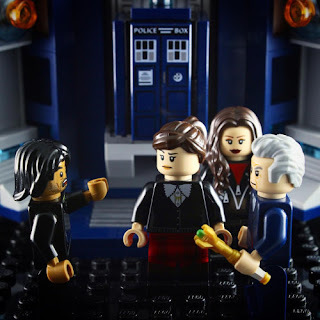 Speaking of which, err, Who, I can't wait for the Doctor Who Christmas Special on Christmas Day. Well, I'll be watching it the day after Christmas, either on Google Play or Amazon Video. That's enough wibbly-wobbly, timey-wimey -- spacey-wacey? -- for tonight. Apparently, this year's "must-have" Christmas gift is the non-hovering "Hoverboard " with the possibly-exploding battery. It's basically Tickle-Me Elmo ... but less dangerous? Anyhow, here's my public service announcement: Let the parents buy (or not buy) the trendy toys for their kids. Whether it's an Xbox , PlayStation , Wii U , iPhone , iPad , Paw Patrol , Disney Infinity , LEGO Dimensions , Skylanders , Power Wheels , or whatever is popular at the moment -- it is better that parents buy it for their kids, or at the very least, kids should ask "Santa" for it directly. People who give gift to not-their-kids should try to give something relatively timeless and not trendy. Why exactly would I say that? A very long time ago, a friend of a relative gave my brother and I these action figures -- anthropomorphic insect-men with large insect pets. It was as memorable as it was ... strange. Of course, it is the thought that counts, but the memory remains. To this day, I have no idea what or where these insect-men are from, and I don't feel like Googling for information. I am fairly certain that they must have been popular in certain circles ... somewhere. 1. Buy an inexpensive Christmas stocking , a tangerine, and as many $1 Hot Wheels or Matchbox cars you can stuff into the stocking. First place the tangerine into the stocking (it's kind of a gag gift at the end of the stuffed stocking). Then stuff the stocking with toys. 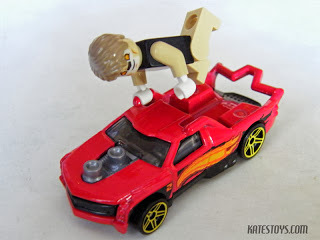 I have a hypothesis that Hot Wheels aren't meant only for boys, but for both boys and girls. To be sure, try to buy cars that are painted in a kid's favorite color(s). The more cars, the merrier -- there is a lot of replay value in these $1 vehicles. 2. 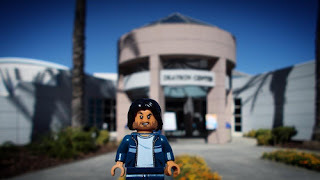 LEGO, any LEGO. Like Hot Wheels, LEGO has that timeless quality. 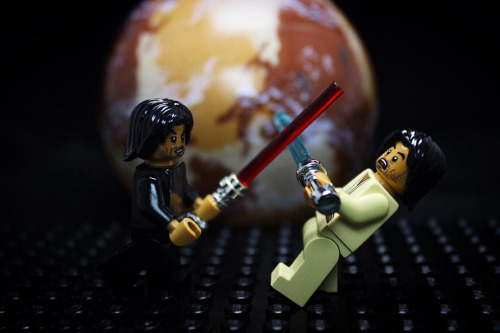 You can even buy currently-popular LEGO Star Wars or whatever, to be sort of trendy, but infinitely reusable as whatever they wish. Be sure there are a lot of minifigures with the bricks; you'll never know if a kid will latch on to a certain combination of minifigure parts and make it his/her sigfig. LEGO can and should be gender-neutral -- but they sell LEGO Friends and pink/purple-themed sets , just in case. While usually pricier than Hot Wheels, LEGO probably has more replay value than any other toy, at any age. 3. A board game. Then again, maybe not. Don't get them a trendy game like the pie-in-the-face one . A kid's parents should be responsible for something like that, if they kid really wants that sort of game. If a household doesn't have basic games like Monopoly , Scrabble , or even a deck of cards (or the app versions thereof), then it'll probably be a cool gift to give. 4. A plush toy or stuffed animal. Depending on the age of the recipient, you can't go wrong with a generic-looking teddy bear. Mickey Mouse and Minnie Mouse are easy choices. You can get a little hipstery and go for Oswald the Lucky Rabbit . 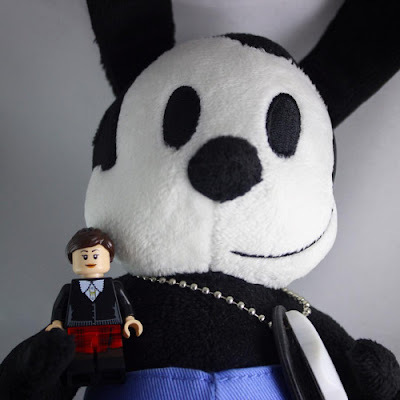 Just make sure the plushie has an overall friendly face and non-creepy vibe to it; otherwise, that kid might blog about that strange, anthropomorphic, insect plushie that was memorable ... but weird. 5. A ball, any ball. A baseball . A softball. A Wiffle ball ? A football -- American and/or soccer . A basketball . A volleyball . Regulation or smaller. Hard or soft -- a plush ball , perhaps? I take back what I've written earlier: A ball might have more replay value than any LEGO set. In any case, my dog Kate has a Saturn-shaped ball waiting for her after Saturnalia, on Christmas Day. I'm either too old for a Christmas present, or I'm an overgrown kid with an Amazon wishlist (I can't say for certain which) ... but I'd be excited to receive a die-cast car, plastic bricks, a deck of cards, a plush friend, and/or a ball for Christmas.